The New York Times has just published a long review plus a slide show of last weekend’s whole-house series of installations by 14 artists in the former Smith family residence on State Street in Hudson. The main article can be read here and the accompanying slideshow is here. 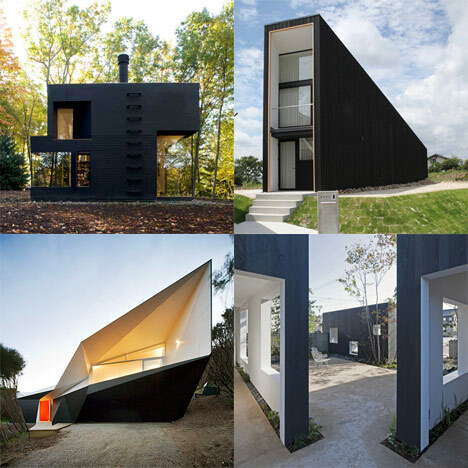 The design blog Dezeen recently noticed “a lot of black cropping up in architecture and design,” backing the claim up with a photo archive of modern black houses they’ve featured. Our region would appear to be keeping up or even leading the trend... 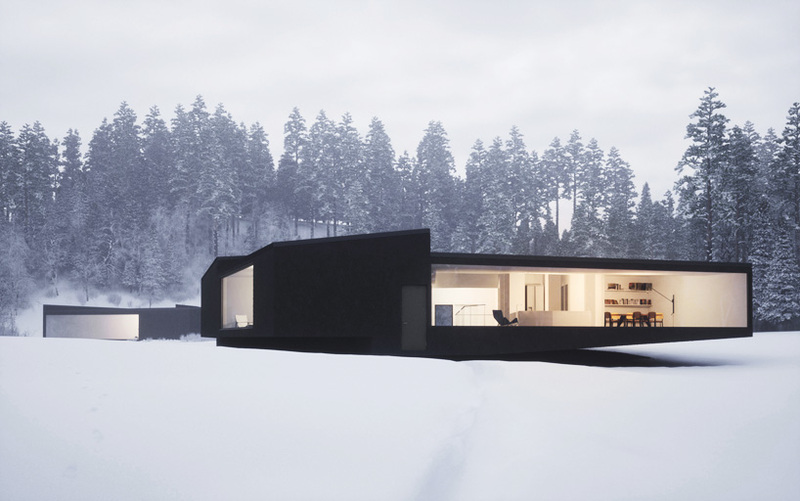 Among the black houses featured by Dezeen is the award-winning writer’s studio designed Wendy Evans Joseph (of Cooper Joseph) which was built locally by James Romanchuk & Sons. Photos of it were published in Architectural Record. Dezeen might want to add to the list the studio under construction by artists Tony Thompson and Margaret Saliske behind their Federal house on East Allen Street. Pictured above, the design with Greenport-based AF Architecture in collaboration with the artists. Yet another example in the area (from about 6-7 years ago) is this house designed by Leven Betts. Noted architectural photographer (and Greendale resident) Peter Aaron has a must-see suite of photographs of the Olana landscape on view at their Coachman’s House gallery through late October. ... considered Frederic Church an almost expressionist painter who exaggerated all he saw. Now, having lived down the hill from Olana for twenty-five years, I recognize that Church’s swirling, flame-colored clouds, twisted trees, river reflections, God-rays, fog, and deeply saturated colors are in evidence for every visitor to see. Walking the landscape at dawn or dusk is an experience that’s always full of surprise and beauty. There are moments when a light snowfall blankets the carriage trail but not the woods, creating serpentine shapes through the trees. In the fall, a tube of fog forms over the Hudson River at dawn, disappearing before full sunlight comes. “I think it’s the first time I’ve seen a modern perspective on Olana,” said Joan Davidson at the opening which coincided with the region’s Heritage Weekend, a concept with which she is credited. As far as I can tell, this proposal for paired houses by Cambridge (Mass.) architect William O’Brien, Jr. has yet to be built, but it is intended for a pair of twins somewhere in Upstate New York. More images can be found here. Also be sure to check out his terrific A-frame house design for some other woods in the Rockies. The images are by photographer and shipping container afficianado Peter Aaron of Architectural Digest, New York Magazine, et al., who has a pretty swell (though not modern) house of his own here in Columbia County. UPDATE: According to a Hudson Supervisor, Koolhaas may handle the building's interior, while the exterior would be renovated by another architect. New York Magazine’s “Vulture” blog reports some truly earth-shaking news for Hudson: Rem Koolhaas has signed on to build Marina Abramovic’s long-awaited museum. The Center for the Preservation of Performance Art is slated for the old Community Tennis building on the north side of the 7th Street park. Without exaggeration, Koolhaas is among the very most respected avant-garde architects in the world today. His involvement means that the building should become a destination not only for performance art afficianados, but also architecture buffs. Hudson, New York, and the surrounding region southeast of the Catskills, is already something of a serious art-world hangout, with several expat galleries in town. It was the site of a New Art Dealers Alliance art fair last summer (not to mention the headquarters of the last century’s “Hudson River School” of painters and painting). It will be fascinating, among other things, to see how Hudson’s Historic Preservation Commission approaches the project. I’ve long argued that preservation in Hudson should focus primarily on (A) preventing demolition of historic structures and (B) assisting homeowners with making—and finding funding for—historically accurate restorations. A question I remember raising with my friend Tony Thompson way back in 1998 or ’99, at a garden party held by Sarah Sterling: What would Hudson do if a truly famous architect wanted to build something cutting-edge here? Would we spurn a Richard Meier, or Zaha Hadid, or Frank Gehry building because it was not period? Hudson is, today, a catalog of period vernacular American styles precisely because its building stock evolved with the times. This project may put such theoretical questions to the test. However it turns out, Koolhaas’ involvement is huge, positive news for Hudson, promising many direct and indirect economic and cultural benefits.